It has been a long time since we saw a game in SEGA’s Shining franchise released in English. A very, very long time. 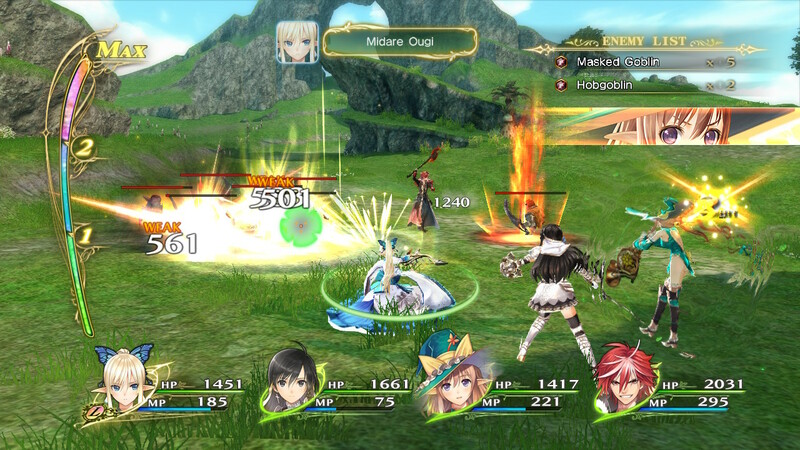 Because of that, there are no doubt more than a few people out there who are curious by Shining Resonance Refrain, but not quite sure what to expect from this PlayStation 4 remaster of a PlayStation 3 Japan-exclusive entry in the series. Let’s put aside why SEGA may have decided to localise this particular title, because that could be a debate in and of itself. 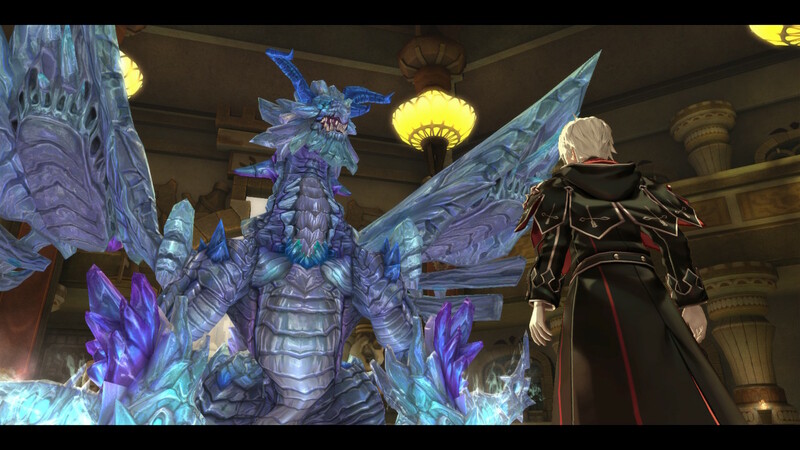 Shining Resonance itself is a rather surprising JRPG, but for the right reasons. Based on the involvement of Tony Taka, one of Japan’s pre-eminent anime pin-up artists, and the fact that the game has a central theme of music which leads to ridiculous weapons, such as one character's bow-harp, and another's trumpet-thing, I was expecting a lot of fanservice and Compile Heart-style sense of humour. 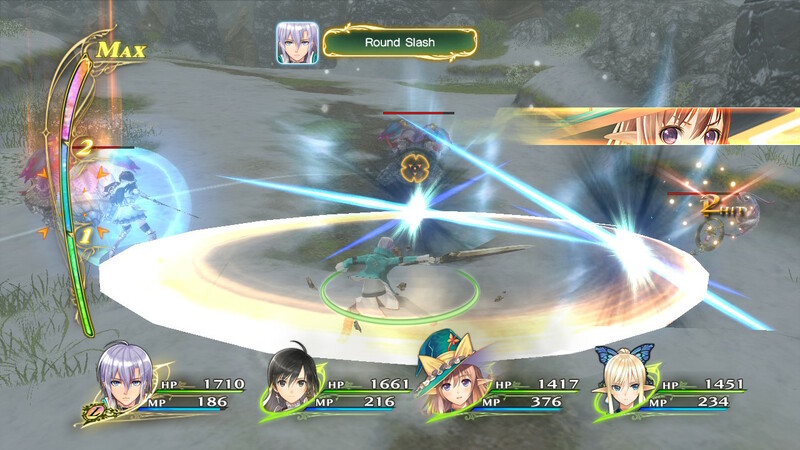 Instead, Shining Resonance Refrain is closer to Bandai Namco’s Tales series. It’s a slick and well-produced action JRPG with enjoyable characters, and while it’s colourful and bright, it never quite feels silly. You can fanservice things up by sticking swimsuits on the characters (and naturally that’s what I immediately did), but otherwise, it’s also muted on that side of things. Even the “dating scenes” that you could earn by building up a relationship with a particular character were on the soft side for the genre. 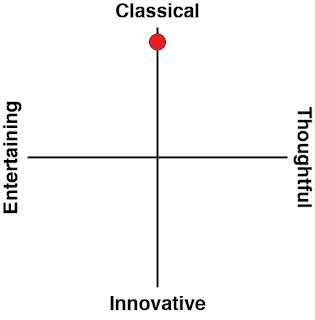 Most important of all is that it tells a good, classical JRPG story. A story of empires and heroic underdogs. Of humans with the power of dragons and warrior princesses. Nothing in Shining Resonance Refrain is going to strike anyone with even a passing interest in JRPGs as anything original or unique, but packaged up with the gorgeously modern aesthetic, there’s something really appealing in how purist it really is. 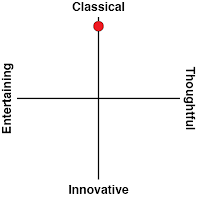 When you look at the shape of the genre now, many of the highest profile examples of the last couple of years have really worked to push boundaries and morph what the genre is capable of. Final Fantasy XV, NieR: Automata, Persona 5, the Yakuza series, and even more budget titles like Dark Rose Valkyrie, The Caligula Effect, and Blue Reflection have really aimed to innovate on either the foundations or storytelling of the JRPG. 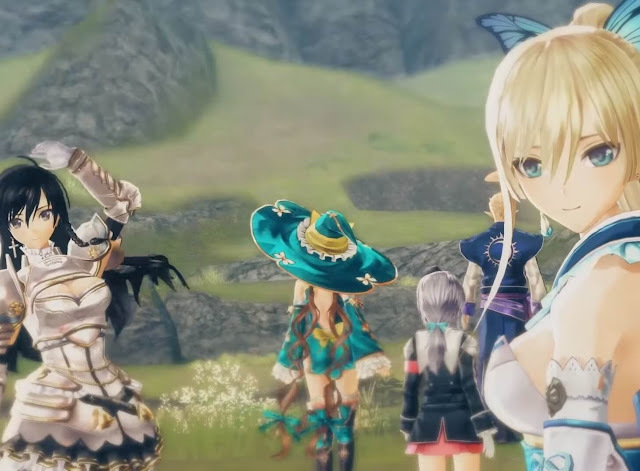 Having something that feels like a substantial release from one of the publishers most in invested in innovating in the genre, like Shining Resonance Refrain from SEGA, stick so closely to tradition has been refreshing. Of course, there’s the obligatory plot twists that game writers use to keep people keen over dozens of hours of play, and your initial assumptions about what the big evil is will wash away soon enough, but each twist in Shining Resonance is replaced with further classical JRPG storytelling. And it's compelling stuff. If there’s one flaw with the game it forces players to work too hard for some of those plot reveals. A poor fast travel system means that there’s too much retreading old ground, and this is particularly true if you’re running around completing side quests. Furthermore, those side quests often involve grinding of the most irritating kind (collecting X items, or killing Y numbers of enemies), and that’s one of the attributes of the early eras of the genre that I wish nostalgic developers didn’t emulate. The grind does let down the pacing of the storytelling, and while the combat and gameplay is enjoyable enough, it’s still distracting the game from its real strength. Grinding is essential in Shining Resonance Refrain, because either I simply played the game wrong from start to finish, or these bosses can be hard. While regular enemies are more a process than a challenge, the bosses always seem to have attacks that can all but wipe a character’s health out with a single hit, and tend to have a mountain of health of their own to work through. When your AI buddies aren’t exactly tactical geniuses, it’s often a real chore just to keep them alive, let alone focus on whittling down the health of the boss. I’ve never had quite as many “battle failed” screens than I have with this one. Unfortunately, that just leads to more grind in order to try and over-level, which yet again slows the storytelling down. Combat is smooth and generally enjoyable. Each character has their own combat specialties and special abilities to leverage. Just like in Bandai’s Tales games, you control one character in battle at a time, and need to closely monitor the health and status of the other team members to make sure they’re not knocked out of battle. You’ve got four different AI settings to issue to your allies, though for the most part, you’ll want the “focus on healing” command in effect to make sure that every ally that can use healing abilities is there to cover your side’s backside. There’s a couple of “super special abilities” that can be used to really turn the tide of battle. The first is the B.A.N.D ability. Shining Resonance looks to make music a core combat mechanic, but as Gust’s Ar Tonelico and Compile Heart’s Omega Quintet did. In this case, when you’ve built up a power meter, you can activate a special ability in which the team forms a “band” around a single character, which leads to massive powerups for your side across the whole battlefield. I like when developers tap into the idea of rhythm in JRPG combat systems, because there certainly is a rhythm to them, so actually spinning that into a combat mechanic feels appropriate. Unfortunately building up that meter to activate B.A.N.D abilities takes too long, meaning they’re only really there for boss battles, but they do make those battles even more vivid, exciting affairs than they would have otherwise been. The other ability is the leading male protagonist’s ability to activate the soul of the Shining Dragon that he has inside of him, temporarily turning him into a ridiculously powerful dragon. Unfortunately, you can only do this for incredibly short periods of time, else the “dragon” may go berserk and become a greater threat to his allies than the enemies that he’s meant to be facing, but nonetheless, it can be a critical ability to get out of danger at a pinch. Some will find the combat system aggravating for its difficulty spikes and the less-than-helpful AI at times, but I found it manageable, and quaint, in that nostalgic way that replaying most classic JRPGs can be aggravating that way. The point is that I was enjoying the narrative enough that I was ultimately happy to take the irritants in the combat system in stride. It’s in the characters that Shining Resonance finds its greatest moments and purpose. Within the game is a full relationship system, where you can spend downtime trading stories and having conversations with your characters of choice, and then, as the relationship blossoms, going on dates with them. This system mirrors what we’ve seen in the likes of the Persona series, and similarly affords the writers the opportunity to write deep, focused back stories and personalities for each character. No longer are they just tag-along plot hooks and combat assistants. In addition to giving you a better understanding of your companions on the quest, those interactions also lead to having a greater range of "links" between characters that you can activate and customise in order to gain yet more benefits on the battlefield. This particular mechanic is complex in the way that it really allows you to form close knit teams whose relationships lend the group great strength, and it's important to get right from a mechanical point of view so you can ease the burden of combat (and the need to grind quite so much). Unfortunately the game does a poor job of explaining how this system works, so be prepared for a bit of trial and error. Once you've comfortable with it though, it's a great feature, and really appropriate to a game that is so heavily focused on developing the relationship between characters. This is the first game we’ve had bearing the “Shining” name in the west in the past ten years or so. Hopefully we won’t need to wait another ten years for the next one. Shining Resonance Refrain might not be a classic example of the genre, but it gets the most important components of the genre right – the characters and the storytelling – and backs it up with some gorgeous art and a perfectly competent combat system.